Google+ Mars Travel: Mars Rock vs Earth Rock - Can You Tell the Difference? 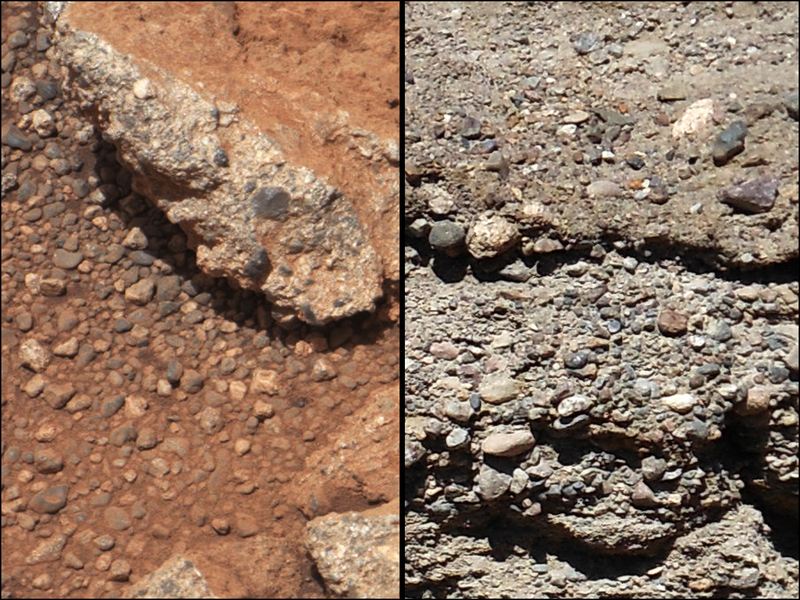 The Link outcrop on Mars (left) is compared to similar rocks seen on Earth (right). In both you can see small gravel fragments embedded into the rock outcrop. 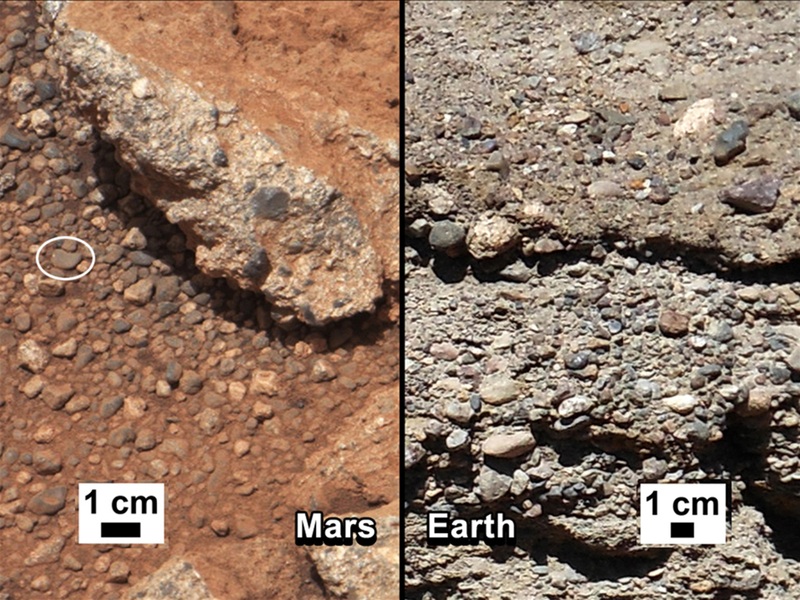 The Martian outcrop appears to be a sedimentary conglomerate, which is a rock created from many smaller rocks deposited by water that have cemented together over time. The outcrop on the right is a sedimentary conglomerate found on Earth. The color on the image of Mars was enhanced to appear as it would in the lighting conditions we have on Earth. Understanding the similarities between the surface of Mars and parts of Earth will allow us to better prepare for missions to Mars by allowing us to practice landings and movements on terrain similar to what will be encountered on Mars!